Unlike most "it" bags, this summer's new must-have sack does not have a waiting list or a steep price tag. Still, it boasts a burgeoning profile, showing up everywhere from chic Parisian boulevards to sun-soaked tropical beaches. 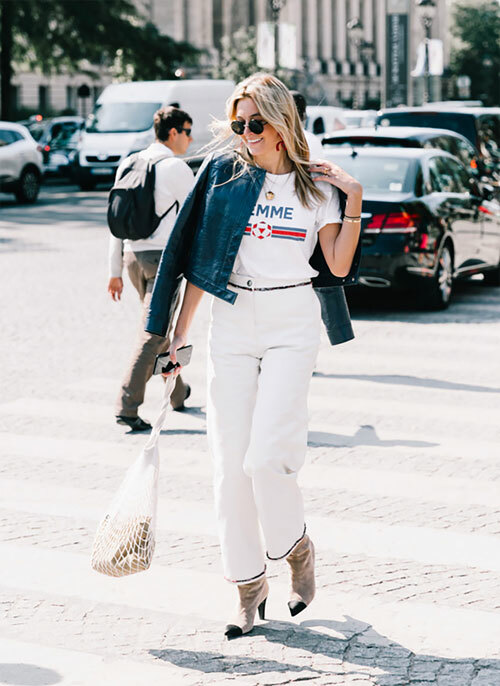 Called the filet bag, initially made decades ago for French fishermen, it expands to accommodate pretty much whatever you put inside, and because it rests comfortably on the shoulder and goes with almost any outfit, it's now a verified fashion statement. Bonus: it costs less than $20! I just bought a few in various shades here and here to bring to Sardinia with me! i use those in my kids' bathroom to store bathtub toys!